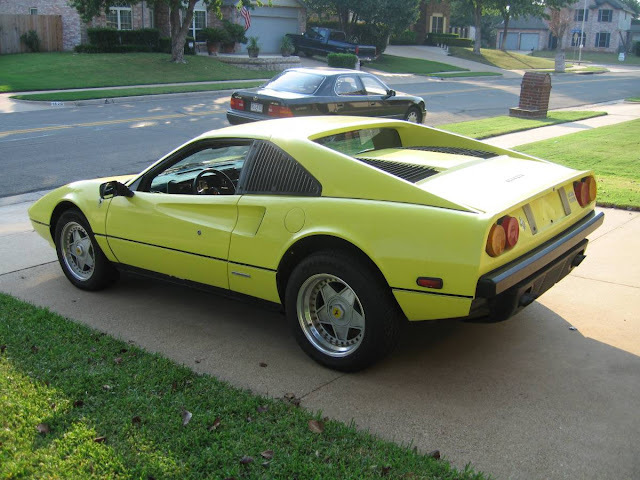 Most of the Fierrari out in the wild are obviously kit cars and painted red...but this next example is a shade of LOOK AT ME yellow and shockingly Ferrariesque. Find this 1980 Ferrari 308 GTBi Replica offered for $11,000 in Alhambra, CA via craigslist. Tip from Rock On! 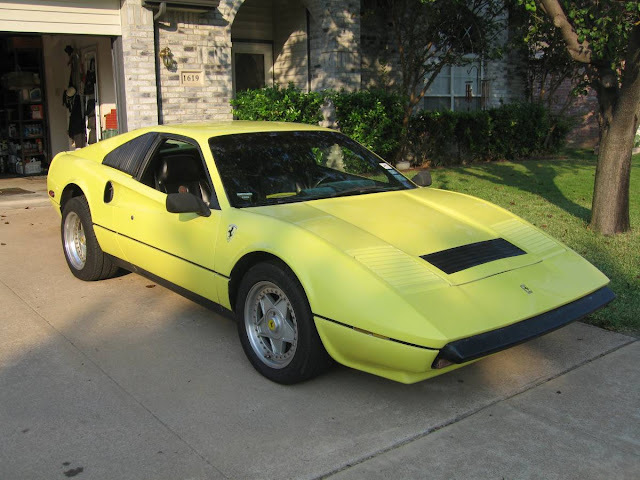 The Holy Grail of Pontiac Fiero family has always been the 1987-88 Mera, a car so shamelessly derivative of the Ferrari 308 that it is almost always painted red with embarrassment...but the seller of this car doesn't insinuate that this might be a real Mera like thousands of other Fiero kits on the market. Of the real 247 Meras ever built/sold, about 1500 are for sale on any given Sunday. Tail lights look like a MERA (which would make it a lot more valuable). Wheels might actually be Cromodora (same as used on Ferraris), which were also on some Meras. If it is, it's one of only 247 built. One of the rarest US automobiles made since the 1930s. It's pretty easy to figure out real Meras from fakes. Door openers, paint tags, and where they placed the shims. They made Fiero's in 1980? Time Warp!